My extended holiday break is coming to an end. I took a couple of weeks off from work and it's been so wonderful. I feel recharged and ready to tackle 2015. I've been living in some variation of this outfit (denim, sweater/cardigan and comfy boots) everyday for the past 2 weeks. Wrapping style outerwear is still a huge trend this season. Some wrap cardigans tend to have a little too much "wrap" fabric but this particular one drapes very nicely. It's the perfect piece to throw on for a casual day. Happy Friday, everyone! 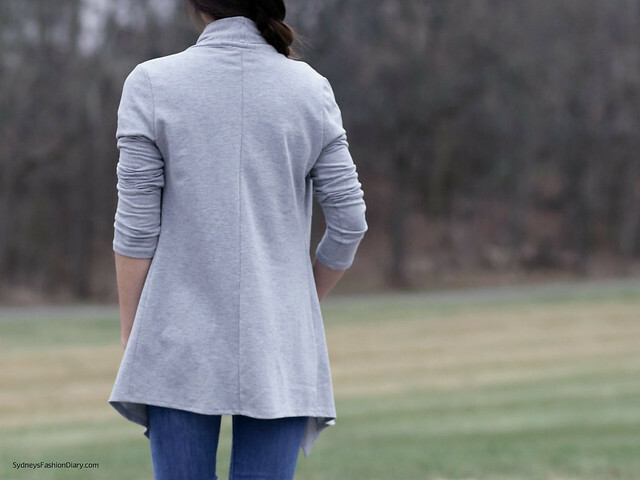 Love the toggle closure on the cardigan! Love this look, very chic and stylish. Looks like the perfect casual outfit. I too am headed back to work on Monday after a nice break. It was great to relax and recharge! WOW, so nice, I like the grey coat, very elegant feeling. Beautiful enough.